You know they're going to fight. The only question is -- what will you do next? I believe the gospel transforms sibling conflict from an obstacle to an opportunity. Join the Homeschooling without Training Wheels community and discover the freedom of resting in God's grace, and the confidence to make wise decisions for yourself and your unique children -- without being slowed down by the opinions and expectations of others. 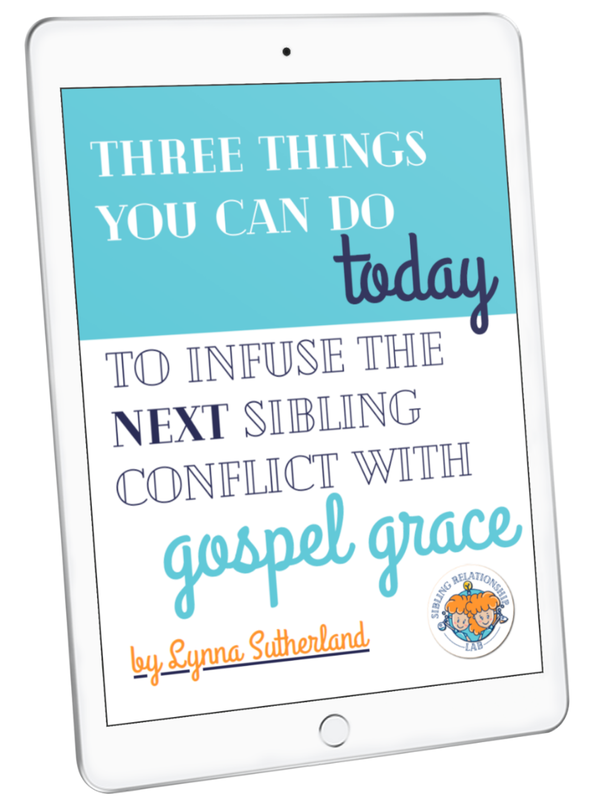 We'll also send you a free copy of this guide: "3 Things You Can Do TODAY to Infuse the NEXT Sibling Conflict with Gospel Grace"
BONUS: Includes a free pocket-reference card you can keep with you for reminders and encouragement on the go! I'm here to help you ditch what slows you down. That includes spam. I respect your inbox space, and I'd never share or sell your email address.